Holiday season is the most awaited time for every business whether online or offline. Shoppers are excited and ready to make purchases during the time and this season brings with it unique and incredible opportunities for the e-commerce growth. Holiday shoppers start craving discounts and crowd the e-commerce websites in search of exciting holiday promotions. This high volume and traffic on the website bring with it a wonderful opportunity to engage and delight the visitors alias the holiday shoppers with irresistible customer experience. To grab this opportunity, e-commerce companies need to be ready to face every challenge during this season. Considering the challenges faced by the e-commerce during the holiday season, it becomes the priority of the companies to come up with winning holiday plans and create an amazing customer experience that stands out and boosts the sales. 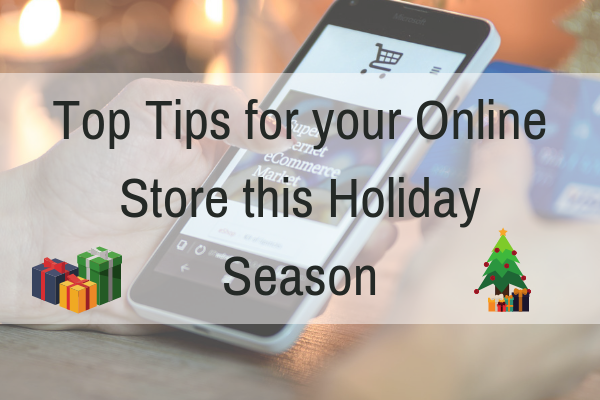 Magento lists interesting tips in its Holiday Commerce Outlook through which online stores can create a smooth shopping experience for their customers during the holiday season. We have summarized of what we think are the top tips for getting a winning strategy together this holiday season. 36% faster revenue growth rates and much more. A high volume of traffic is obvious to be handled during the holiday season and figuring out the plans early to handle the same and provide smooth customer experience will pay dividends. Whether it is national or international shipping, everything should be sorted out accordingly before the beginning of the holiday season. Last holiday season’s data have shown that mobile visitors made a significant portion of the retail traffic. 7 in 10 visitors abandoned their carts citing that they have to provide the shipping information, log-in and select the payment option all over again. So, to ensure the success, mobile optimization of all the facets of the shopping funnel becomes critical. Social media platforms like Facebook, Instagram, Twitter etc. are becoming a gateway to exploration for the users. Instagram alone has 800+ million active users who are constantly looking for new things. Many successful companies have started making the optimum use of such platforms by integrating “buy” button into their social media platforms. This integration will definitely help you ensure that you are meeting the customers at the right place. Adding the preferred payment method have proved to increase the mobile purchasing. 20% of the participants in a survey have cited that if their preferred payment method is available, they would complete their mobile purchasing. The commerce landscape has changed drastically and the shoppers are actively shopping online. They are conditioned to expect a hassle-free delivery of their products with the proper tracking information. “Checkout” these days is not the end of the brand experience rather it continued into the fulfillment. Companies who are able to provide an omnichannel experience till the product reaches them are the successful ones during this highly competitive period. Millennials are the most active online buyers and 26% of the millennials have informed that a poor mobile shopping experience works as the biggest hurdle in letting them make online purchases. Therefore, creating a seamless mobile shopping experience is really important for the companies to excel in the holiday season. In the season of festivities, discounts are what online customers look for. Offering free shipping and coupon codes have helped many successful companies meet their goals and have reduced the cart abandonment rate significantly. It is very important to maintain a consistent and happy shopping experience for the customers buying at the physical store or from the online website. Store the same products, information and provide a happy customer experience to the visitors visiting the physical office. This will help in increasing the future opportunities and turning the visitors into loyal customers. Brand loyal etc. according to the company’s requirements. Provide the users with product recommendations based on their browsing or purchasing history. Along with selecting the gifts, the users are also shopping for themselves. So, raise the self-gifting trend by recommending the user-specific products. By analyzing the past revenue performance of the products will enable you to have a list of products that carry a high tendency being purchased during the holiday season. Right promotion of such products will help you in maximizing the overall revenue potential during the period. Website optimization is very important in order to provide the customers with an enhanced experience. A smooth and quick access to the products will directly lead to increased online purchases. The holiday season is full of opportunities and is a crucial time for e-commerce companies to make or break the relationship with their potential customers. Implementation of a perfect strategy at the right time is very important and the tips mentioned above in the article will definitely help you to meet the challenges successfully during the holiday season. Nevertheless, we at Sigma wish that this holiday season is a great success. Also, we would love to hear your opinion on these tips and any roadblocks you might be facing in your preparations this season. You can even get in touch with our e-commerce/Magento consultants here for any follow-up query you may have.